By Loren E. Pedersen, Ph.D.
For additional information about this book, visit the website lorenpedersen.wordpress.com/	. Learn to pronounce French like a native speaker, all with one simple guide! A Simple Approach to French Pronunciation is the first of its kind—a simple yet accurate guide to the nuances and intricacies of pronunciation of the French language. Most so-called pronunciation guides are either overly complex or too short and inaccurate. With this guide, you will master the art of French pronunciation, regardless of your French-language ability. Whether you took French in high school, studied abroad in France, or are learning the language for fun, this book will prove an invaluable asset in your studies. 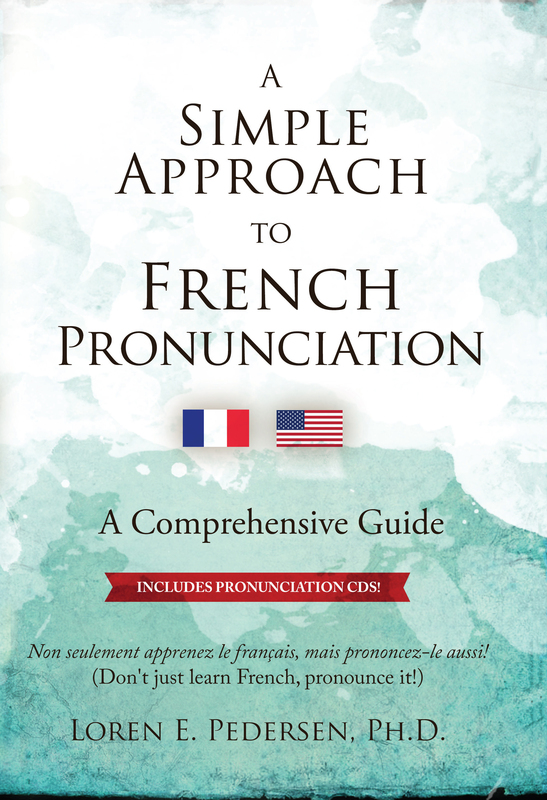 Author Loren E. Pedersen, Ph.D., has painstakingly compiled all the minutiae of French pronunciation in one all-encompassing guide aimed at anyone studying French as a second language. Show off your mastery of French sounds, and speak the language with pride and confidence! A simple approach to French pronunciation based on learning the sounds of letters of the French alphabet. Many examples of French words in which these letters occur with both phonic and phonetic designations with practice sentences using these words, and a sound file of these words with a practice sentence. The tables of the phonic similarities of combinations of French letters are the more complex sounds of French with recurring sound patterns arranged in groups of phonic and phonetic designations of each combination. The reader identifies sounds of letter combinations by looking at an alphabetical table of all of the letter combinations by their spelling, and by breaking this table into separate groups of phonic sounds created by letter combinations that belong together with practice sentences using these words, and a sound file of them. The tables of literal spelling of letter combinations provide groups of phonic sounds. They are the sound patterns making up the heart of this book. Dr. Loren E. Pedersen was born in Chicago, Illinois. He currently lives in California, where he has over forty years of experience as a clinical psychologist and Jungian psychoanalyst. Dr. Pedersen has had a self-proclaimed love affair with the French language for decades, devoting much of his free time to studying with other Francophiles.